Yeah, by now, two weeks into a new year… how many of you have thrown in the towel on all those fantastic resolutions? As a matter of fact, don’t answer. Because that is not why I am here. I am not here to tell you the next great diet or workout plan, and I am not going to invite you to sell essential oils or vitamins. Although, I do have an Etsy shop, but that isn’t the point either. I rarely come to you with this much confidence. And that is simply because I don’t have that much confidence in my expertise. But today, I am feeling recharged and energized, and it only took two weeks and 47 years to get here. Also, I am not waiting for the clock to gong on when to start or stop anything… ever again. Wait, that may be a resolution. I will confess, yesterday morning on my walk, I got in an argument with self-help guru Tony Robins... out loud. And yes, I was alone, all by myself. But someone had recommended his audiobook to me in light of something I had said. And I was having trouble with my focus, which is a trademark move of mine, don’t copy me. Tony suggested that I write down all the false beliefs I have in order to make real change in my life. Prior to that, the upbeat and motivational speaker had convinced me to go for a walk. He looks like a marble statue and I think he has negative 8% body fat. Also, he closely resembles 98% of all the guys I dated in high school. Still, there I was on a walk recounting all the things that I would now change, thank you, Tony. I said it out loud and also, loudly. Uh… no, move along Carl Lewis. I am talking to myself and an audiobook of Tony Robbins. Do you mind? It is a private conversation. However, when I got home, I wrote it down. I wrote it all down. All the lies. Certainly, all the hurts. All the fables I believe about me. I won’t share all that here, none of us have time for that. But Tony is right about this: What we believe defines us. But you believe in Jesus? But do I truly believe I am different, wholly different because of that belief? Um. Well, not in the ways that really matter. Which brought me to the conclusion, I am not truly at peace or embracing joy, cause that is a lot of yelling at me. I have not changed my mind to the extent that He is the loudest voice in my head. That was a lot harder to say out loud than I thought it would be. What happens to me, and I know many of you will agree, is that this Gentleman, our Father God, who is not the barking pandemonium of diets, fads, and the next BIG THING, that we hear every year at this time, is drowned out. With His whisper, entirely smothered in my contempt and lofty aspirations, so too is my value as daughter. The truth of who I am gets lost in the madness of change. And when we stumble, when we can no longer eat another piece of bacon or grapefruit. When that vitamin or closet organization strategy, book, waist cincher, or whack-a-do fitness plan doesn’t work… or worse, works and we still have no joy, there He waits. In addition to the list of lies that me and Tony knocked out, I also wrote in my gratitude journal. This lofty feat was the only real “resolution” I made for the New Year. Cause Y’all, I just couldn’t do anything else. And I do not like resolutions, but I had half-heartedly committed to a gratitude journal last year. In this new year, I got a really pretty journal from my BFF as a gift and this act, writing down 5-10 things a day I am thankful for, was the biggest commitment I could make. And, this is the most effective means of change. I propose it is the greatest endeavor as a catalyst for change. Like I said, I started doing this last year. And when I fell into a real, no seriously, and deep depression, the act was one of the only things I could focus on for momentum. Somedays, I came up with only 1 thing. Somedays, I came up with 19. One day, back in October, I came up with 26. But, to be candid, they were individually listed gumballs. Yes, I love gumballs. And on that day I got a shipment of them from Amazon, and yeah, I ate 26 of those delightful little balls of euphoria. Then, I wrote down each one as a blessing. 1. Pink 2. Red 3. Yellow… you get it. However, looking back through the mess of heartbreak in my 2018 pages, it brought me out on the other side. Gratitude is my focus. And I can see tangible change. It may not be on the outside, my jeans have not downsized in my praise, but they are too big. Gratitude has moved me in the direction of clarity. My decisions are impacted by what I am thankful for. It is becoming my favorite past time. For if yesterday I was grateful for my walk with Tony Robbins and Jesus, today I am more likely to go on a walk again. Writing down my gratitude seems to effectively embed them as good pursuits for the next day and the next. And while I have not solved the world’s problems or a wealth of mine, I am most grateful for the focus I have gained in the revelation of what is good. Giving thanks for something, anything, even when life smells like armpit, is my refuge. There, my God seems to be louder, clarity becomes my sanctuary. My focus is growing more on Him, less on me. HERE IT IS!!! Listen now! With Rebecca Huff of That Organic Mom! Today our focus is on the scripture Proverbs 17:22 – A cheerful heart is good medicine, but a crushed spirit dries up the bones. We hope you LOVE it!!! https://www.thatorganicmom.com/mood-sleep-health/Visit Rebecca’s show notes and blog post here! And don’t forget to join me and Rebecca in our Facebook community HOPELIVELY! Today’s episode is brought to you by Jennifer Willerton: Independent Beauty Consultant. Follow this link to see all the AMAZING beauty and skin care products Jennifer offers and message her to learn about a special offer she has JUST FOR MY LISTENERS! And, you won’t believe what a great deal it is! And check out Katie M. Reid’s Blog here! Are you a creative wanting to start something or stuck in the middle of something?? 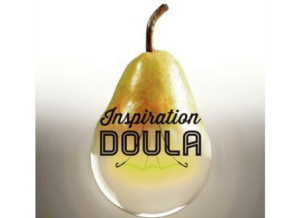 Click on the image to the left and follow my friend Katie M. Reid on the Inspiration_Doula! She has services and offers monthly consulting calls with clients to help them take the next step toward their God-given purpose. I coach songwriters, authors, speakers, event planners, and creatives and help them with ideas for brand-building, book proposals, marketing, etc.!!! CHECK IT OUT!!! !